In today’s political climate we have no shortage of trolls. The topic does not matter. The side you are on does not really matter either. Diverse, equal opportunity trollage is ever present. Well, my little resume writing company is no different as we have our share of trolls. Recently there was a good one. 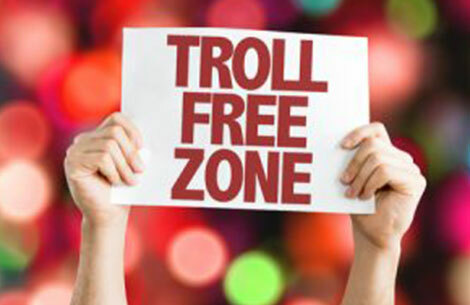 No, I am not outing him – he trolled my company Facebook page. He was outed the day he posted – commenting that he has been making resumes since high school and that it is not rocket science. I will agree with Charles, that it is not rocket science, and I will go a step further: We are not curing cancer either, but we have written resumes for a rocket scientist and a few cancer researchers, so that’s gotta count for something! Charles seems to be insulted because some people choose to get help with resume writing or pay someone else to do it for them – that it somehow undermined his ability to write his own resume. However, if you are someone who is struggling to write your own resume or you simply do not want to spend your free time learning it all on your own, then attend my upcoming “How to Design a Powerful Executive Resume to Land Interviews and Get the Offer!“ training. Don’t be alone and reach out for help. Leaders delegate and seek out help when they need it. They don’t sit and stew in the soup of struggle. If you are like Charles and can do it yourself, I wish you the best – just don’t be a troller.